Anna sent this to me with the subject line: “personal cello transport solution”. Of course she’s at Cambridge, clever thing. Previousmusic saves the day, again. 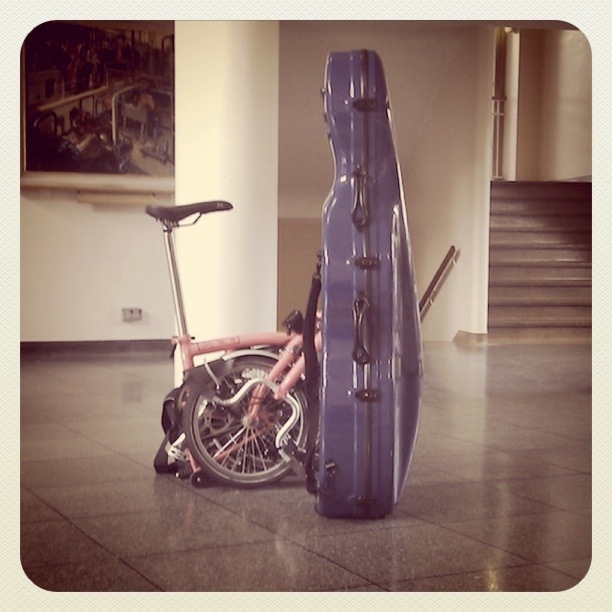 Perhaps not quite as silly as it looks – whilst at university I regularly cycled around Leicester to concerts and rehearsals with my cello on a trailer (http://www.bikehod.com). The cello wore a fluorescent jacket and was fitted with a rear light. John, did you remove the hi-viz and the tail light before performing? Total respect if you didn’t!